Authors and Editors, We Need One Another! with the story and I get lost in it, not caring about comma’s etc. I put comma’s in the wrong places, forget to use quotation marks and forget about correct sentence structure. I check my finished work and try to clean it up, but usually it is a mess. That is where my editors come in. I want to highlight two people who work magic with my books. One is my publisher and editor plus being an author, Patricia Rockwell. When my manuscript for Cozy Cat Press is ready I send it in and she crosses the t’s, dots the i’s and makes me look better. She does this for all of her authors at Cozy Cat Press as she is the owner and publisher of the company. Another person I rely on is D.A. Sarac and The Editing Pen. I always feel it is good to have more than one set of eyes so I have her edit my independent books I publish under Hermiony Vidalia Books and the books I send to Cozy Cat Press. She has become invaluable to me. In fact, she too makes me look good. My new book The Penderghast Puzzle Protectors was a mess when it came to comma’s and quotation marks. You would think I would learn but in my excitement and haste I miss many things and I hate editing and Annie Sarac loves editing. Not only has The Editing Pen been invaluable to me with editing, she has also helped me with my promotions. An author needs to write, edit and promote and it is exhausting and so we ask for help. The Editing Pen offers a wide variety of services and support for authors. I did try at one time to publish without an editor and it was a big mistake. I have learned my lesson. Every author you read, hopefully has a good editor in their back pocket. I am lucky to have two. My new book will be featured here on Monday, so stay tuned, sign up to follow this blog and for my newsletter where you can find the sign-up on julieseedorf.com. For me this is thank an editor day. I just made it up. Thank you Patricia Rockwell and D. A. Sarac. You are the trick I carry in my back pocket to help my career be successful. And I would guess you would love to edit the post and all my snafu’s. 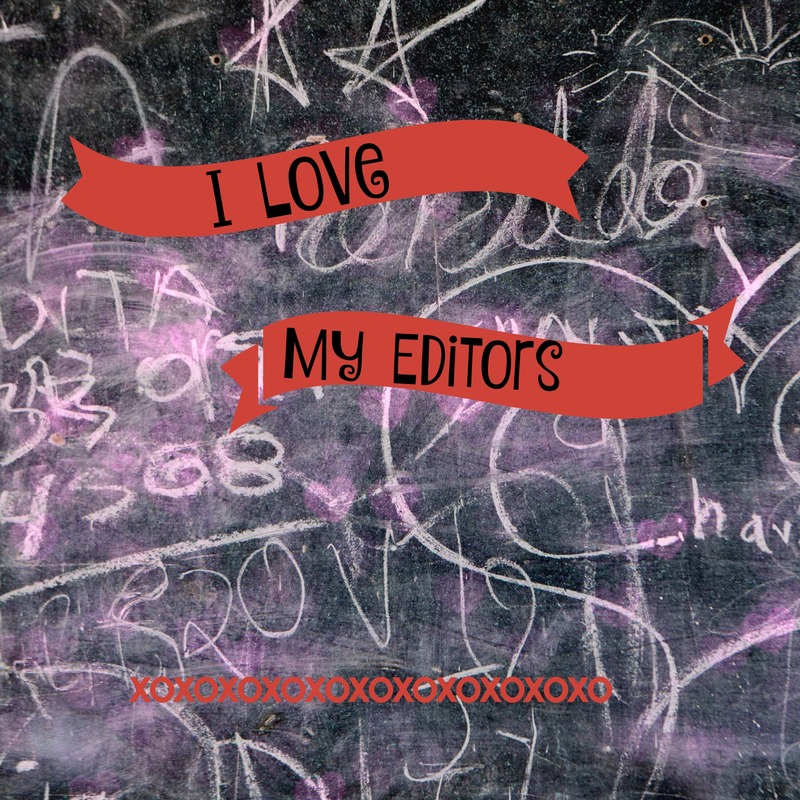 If you have an editor out there you love, leave a comment. I will choose one lucky winner to receive a surprise. And if you are a reader and don’t have an editor, make a comment anyway. I love to hear from you. And make sure you check back to see if you have won. It’s Happy Editor’s Friday. Thank an Editor. Previous The Generosity of Authors! Next My Heart is With My Granddaughter! Always enjoy your readings and posts, Julie! Thank you Jeanne, so glad to have your support.